Back in the day, there used to be a saying among us regular comic book fans, implying that nobody in the comics stayed dead, except for Bucky and Jason Todd. However, since Bucky and Jason both sprung back to life, this saying has gradually become very-very redundant. To see what I mean, please check out the following comic book created by Dan Abnett, Brett Booth, and published by DC Comics. It's January, 2017, and it's time for the Titans in review. TO QUOTE The Beatles: 'All You Need Is Love'. Wally West is dead. Or should that be, Wally West is kind of dead? Either way, last month he was thrust into the speed force, seemingly for good, largely due to a very cunning plan carried out and crafted by the futuristic technomage, Abracadabra. This month, however, we quickly learn that Wally isn't dead. He's just biding his time in the speed force by hanging out with an apparition of his one true love, Linda Park. From Wally's point of view he feels that he's better off with Linda in this capacity, simply because the real Linda (or should that be, the current version of Linda?) doesn't love him anymore because she doesn't really know him. 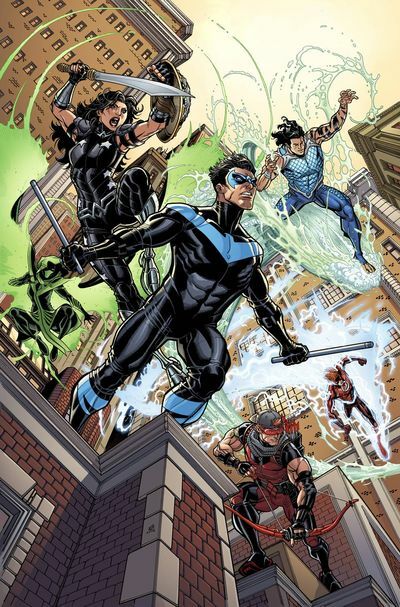 Now while this is going on, over in the real world (you know what I mean) the Titans are trying their best to fend off Abracadabra, doing so, so they can bring Wally back from the beyond. But can they do this? Can they possibly make Linda Number Two love Wally Number One? And if they can, will this strengthen his bond with the speed force so he can run back to the here and now? Well, for those of you who've picked up issue 9 of the Flash, I'm sure you know the answer to these questions already. Yet what you wouldn't know, is that this issue brings along with it a lot of character based insight. Now without giving too much away, the basic idea behind this concluding chapter asks us to do two very specific things: (1) To put to one side what we once knew about Wally and Linda's relationship; and (2) Come to terms with their current iteration, warts and all. I know this all sounds pretty harsh, especially for a comic book, but generally speaking that's what's at the very heart of this story-line (pun intended): Acknowledging the fact that Wally and Linda's previous relationship is dead and buried, now paving the way for a brand new relationship between their more modern day counterparts. And what is that exactly? To be honest, I'm not quite sure. I know that one part of Wally's original persona is still intact: What with him being a simple person, a naive person, a complicated person, an adventurous person, yet basically an old romantic at heart. And to me, that's precisely what saves this issue from being pants, Wally's romantic side, a side which most of us can relate to, particularly when it comes down to finding (or loosing) someone you love. 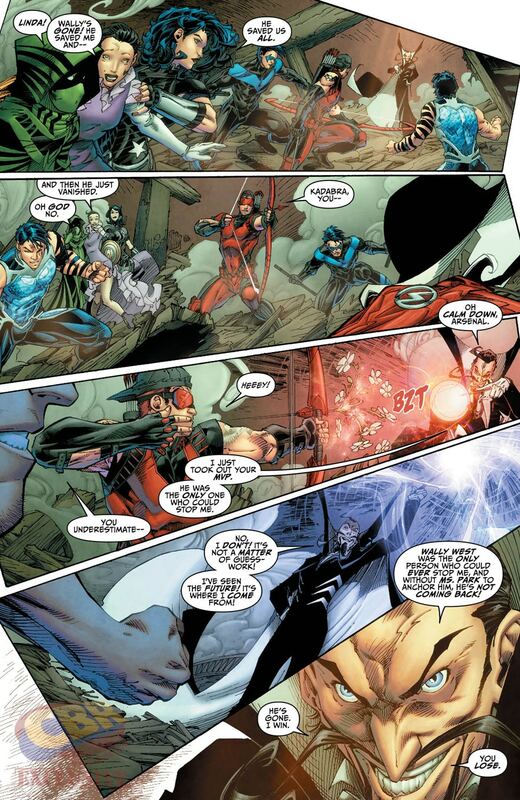 Even though I personally wasn't too thrilled with the way he quickly discarded a certain portion of his psyche, emphasis on quickly, at the same time I completely understood why Wally needed to do this. Like you would rapidly rip off a plaster or a band-aid, sometimes you have to concentrate on the here and now, regardless of the pain. It'll hurt, of course it will, but in the long run (pun intended again) I'm sure everything will work out for the best. Something else about this issue I really enjoyed would have to be the artwork provided by Brett Booth. As per usual his style of art manages to tread a fine line between being too cartoonish and being too forced, whilst finding the right kind of balance for Dan's brand of retro inspired storytelling. I also liked the way Norm Rapmund inked this issue as well as the way Andrew and Carrie colored it: What with them adding something to the overall flow of the story, be it a depth of field, a moody nuance, or a color pallet that brought certain parts of the plot back to life. 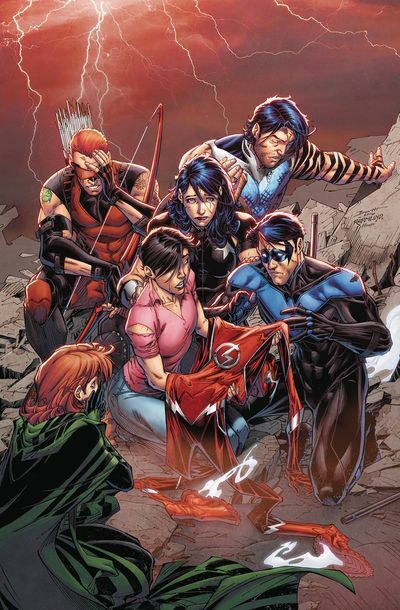 Now in stark contrast to this, the one thing that I felt let this issue down, would have to be how the supporting characters weren't given enough scope within the plot, namely, the Titans and Abracadabra. It was as if Wally's part of the narrative superseded their part of the narrative, which it should, although it would have been nice if they each had a bit more page time to play with, just to give their characters a bit more time to shine. Apart from that, though, all in all, great art, nice story, and fine finale. I think I've answered this section already during my review. 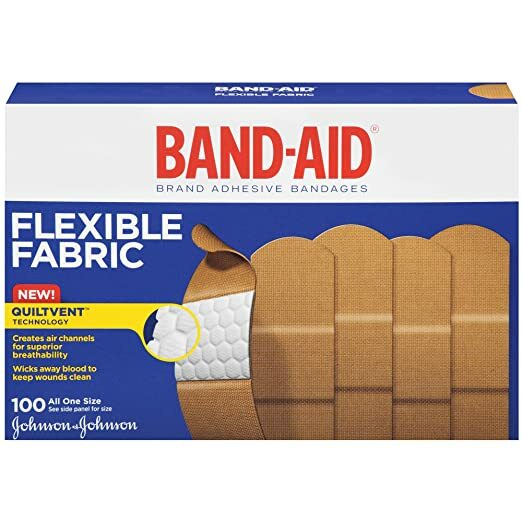 So once again, folks, I would like to compare this issue to a band-aid: Because sometimes you have to rip it off quickly so you can rapidly come to terms with the pain. The Penguin: Allergic to dry fish. Lex Luthor: Allergic to Donald Trump. Kylo Ren: Allergic to paternal love. Deathstroke the Terminator: Allergic to kittens. Kim Kardashian: Allergic to underwear. Doctor Manhattan: Allergic to being mentioned in this issue. Donald Trump: Allergic to man-made fabrics. General Zod: Allergic to the title 'General'.